“Although the majority of prisoners who spent time in the local calaboose were the Saturday night drunks and ruffians,” Moore writes, “others were locked up for theft, counterfeiting, owning or discharging illegal firearms, prostitution, and selling fortunes without a license." Bryan archaeologist and author William E. Moore gives readers a guided tour of abandoned tiny Texas jails in his new book, The Texas Calaboose and Other Forgotten Jails (Texas A&M University Press, $35 hardcover). A calaboose, or tiny jail, was often used in small towns to incarcerate prisoners on an overnight or temporary basis until they could sleep off their inebriation, pay their fine, or be taken before a judge or transferred to a larger facility. 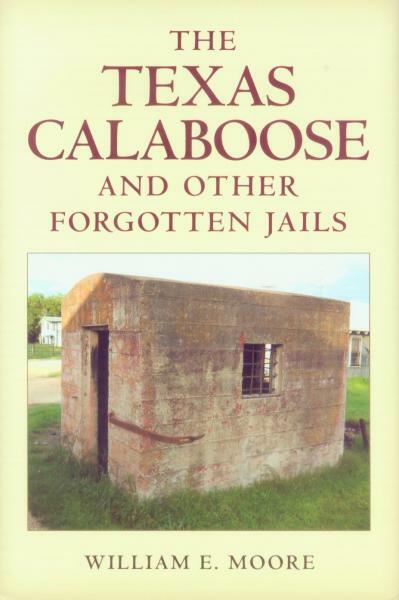 Moore discusses the history of the calaboose, but most of the book consists of an alphabetical listing—with color photographs and a page or so of text—of about 120 calabooses, jails, or cages that are no longer used but are still around as storage buildings or abandoned structures. Many are on private property. In one chapter, Moore discusses the construction methods and building materials used in the calabooses, and at the end of the book he provides simple floor plans that were fairly standard. Read more at the author’s web site, www.tinytexasjails.com. Family Secrets: In his debut novel, A Favor of Consequence, Texas writer Michael Scudday tells a gritty tale about a young man forced to come to terms with dark family secrets. The story is set in 1968. Davis Tillman is twenty-two, a senior at the University of Texas, home for the Christmas holidays. His father, Mac, gets a call in the middle of the night from old pal Harry Rankin. Mac is summoned to fix things once again for his millionaire buddy, and Davis gets caught up in the action. As Davis drives Harry to Big Spring, Harry reveals a shocking story about how Mac took the rap for an oil theft scheme years ago, before Davis was born, and went to prison for it, leaving his wife and daughter behind. Davis is determined to confront his father and get to the bottom of their strained relationship over the years. Meanwhile, Davis lives with a tragic childhood memory that continues to haunt and define him. 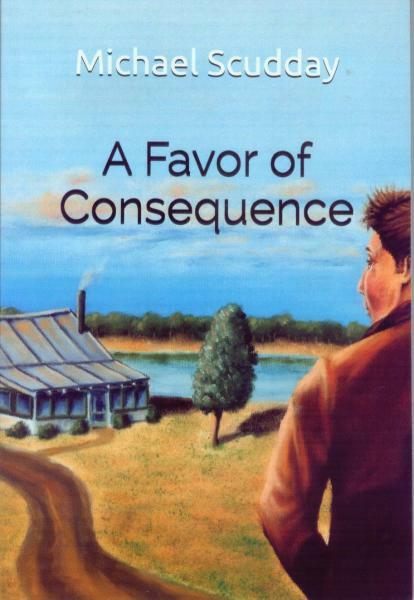 A Favor of Consequence ($18.95 paperback, available online) is a fast-paced story and a good read. However, readers who are offended by strong language might want to pass on this one. The cover image is a painting by Abilene artist Charlie Hukill.